When you travel, you never know what you are going to find when you excuse yourself to use the restroom. The United States is unified in their approach to all the basics, but outside the country, you head into some widely different scenarios. This gem of a toilet is found through most of Asia and the Middle East and in some parts of Africa. This new style of toilet can be intimidating at first, but many people tend to like it after using it. It puts your body in a position that releases pelvic muscles and makes for a more natural waste release. One thing that you are not guaranteed while overseas is the availability of toilet paper. In many countries, their plumbing systems cannot accommodate toilet paper, so next to your toilet you will find a little waste bin. There are also places where there are just buckets of water that you use to wash with or a hose with a nozzle to help clean up down there. If you have ever traveled to England, you may have noticed something a little different when going to wash your hands. They have a hot and cold water spigot and those streams to do cross. The reason for this interesting plumbing choice has become something of an urban legend. However, we believe that it had to do with rebuilding after WWII and having different sources of hot and cold water available to the houses at that time. 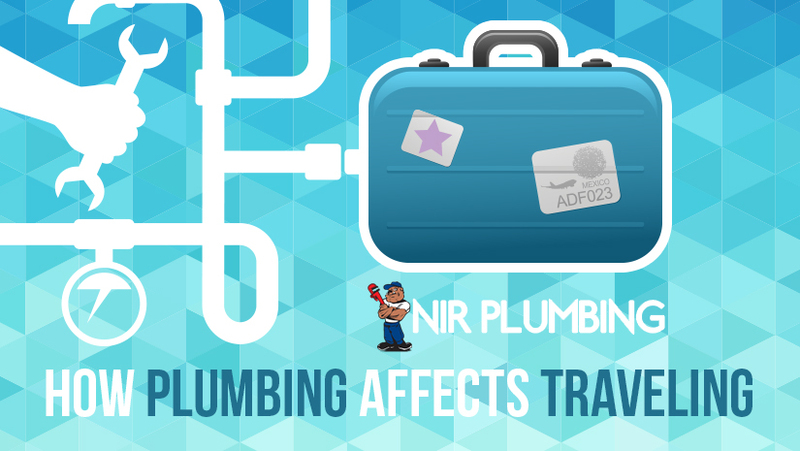 We hope that some different plumbing isn’t a deterrent to keep you from jumping on a plane anytime soon. Traveling and seeing different cultures is always a rewarding experience.